Most readers of 10,000 Birds know that nature is full of surprises and that we aren’t the only ones with a lock on intelligence and creativity. Still it is always nice to add to the evidence of animal intellect. This all happened as I was suffering from the photographic affliction known as “light denial,” where I’m convinced there is still some light but sadly the day has ended and darkness reigns. It wasn’t foraging for food… it was testing various pieces of wood by pushing down on them, then moving on to the next one. it immediately dropped the kelp and paid it no further attention. It was using the kelp as a TOOL to get across the water, a flotation device! I was flabbergasted and reminded that we don’t have exclusive rights to imagining, planning, executing, and then forgetting. More in a couple weeks. Thanks for tolerating a non avian dose of Everyday Sunshine. Thank you—I found this quite fascinating! 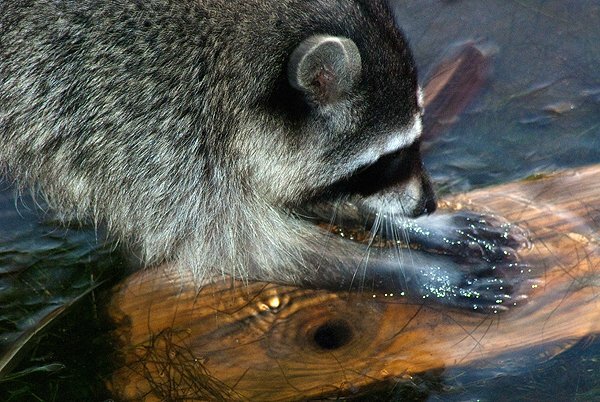 I have watched numerous raccoons do many things that I considered crafty and intelligent and still nothing like this. 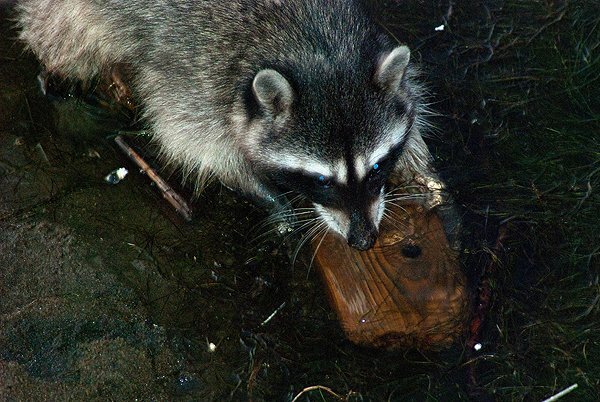 Have you looked to see if there are other documented cases of raccoons doing anything similar? Now THAT was a fascinating account. Wow, that is cool! 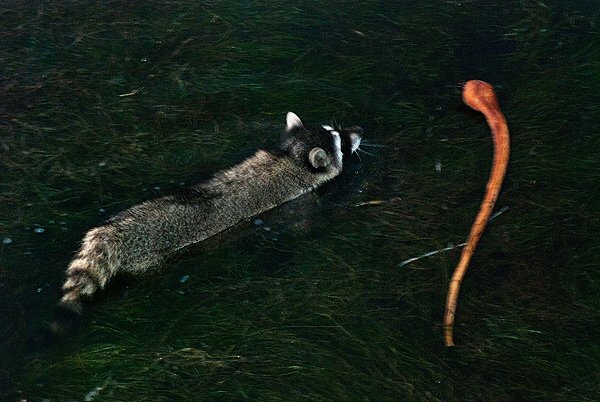 There’s a PBS “Nature” episode on raccoons that I’ve Tivo’d but not watched yet. I think this will bump it up my must-watch list. What a cool thing to observe! 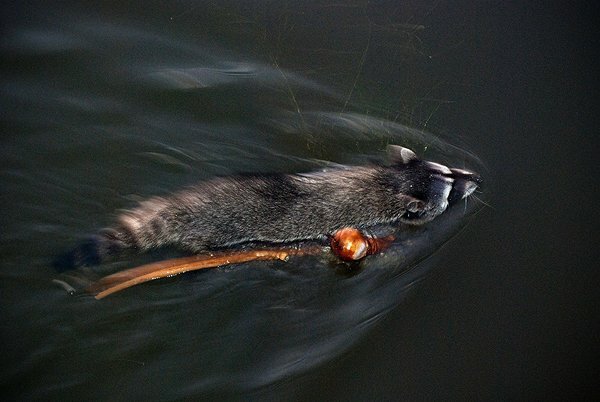 I enjoy your spectacular avian photos, but this raccoon takes the cake…I mean, the floaty. 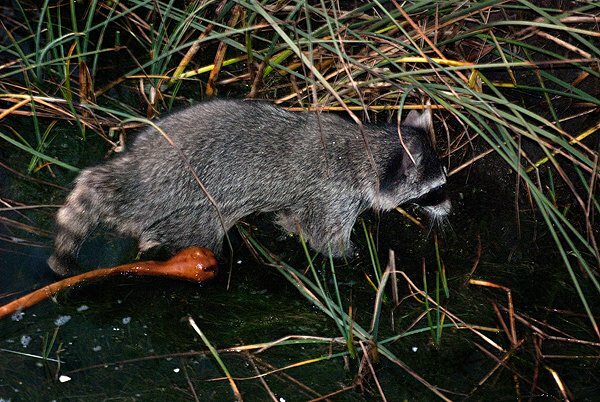 Good series on the Racoon. 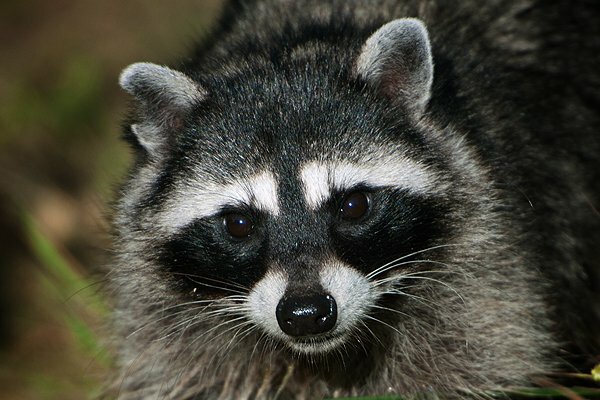 Major fan of the masked bandit here… had one as a pet back in the day in Santa Cruz when they were legal (1981). She was a wonderful pet – we gave her a HUGE living space and she graced us with her intelligence and affection every single day. Still miss her, so now I have to console myself with the regulars who visit my yard. And yes, I consider them friends too! Where Are You Birding This First Weekend of July 2012?